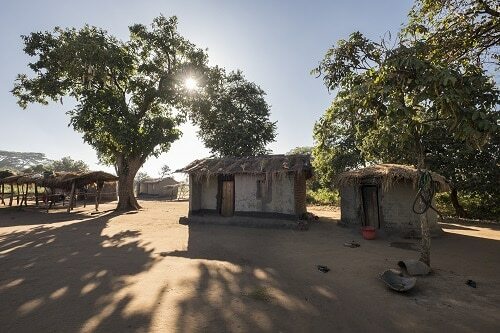 Four times in the space of a year, John Vidal visited Gumbi, perhaps the poorest village in one of the poorest countries in the world, Malawi. 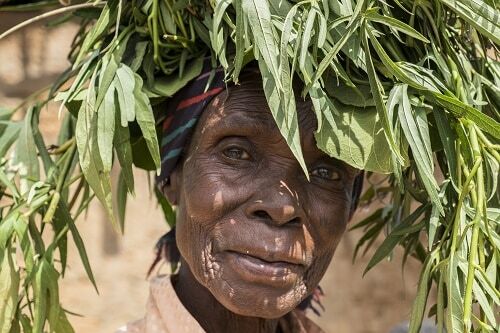 At first it was beset by famine, but as months went by, help arrived, the rains came, the village rallied – and learned a whole new way of taking on the future. 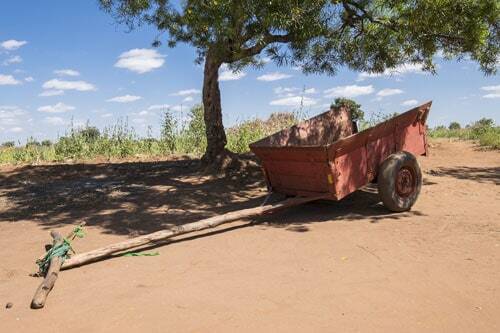 In May this year, Kennedy Njewa, a young Malawian farmer from the village of Gumbi, sold his ox cart. It was a very big deal. It had taken years for him to save up for the battered old wooden carrier, its wheels akimbo, and its floor rotting from years of southern African toil and tracks. He had rented it out for a few pence a day to haul maize to people’s grain stores or tobacco to the local auction house. The cart was his pride and hope, his family’s only cash income and their only investment. Kennedy looks 16, but actually he’s 26. His acre and a bit of red earth in the flatlands, 50 miles west of Malawi’s capital, Lilongwe, just about keeps him, his wife Christine, his three young children and his two younger sisters in their staple food, maize. But in a bad year, the ox cart was a lifeline. The small income it brought meant Kennedy’s family were not among the very poorest in one of the poorest villages in the world. So why did this responsible, sensible young man with so many dependants sell the cart and potentially risk all their futures? The short answer is that, two months earlier, Kennedy’s 13-year-old sister, Marghareda, had come top of her class with high marks in national exams and so become eligible to attend one of Malawi’s elite state boarding schools. By any standards in Malawi, this was an achievement, but in Gumbi, where perhaps only 10% of children get the most rudimentary local secondary education – and most leave it after just a year because their families cannot pay – it was a triumph. Marghareda was the first person from the village ever to have done so well in school, but after the small family celebration came the reality – it would cost about £60 a year to send her to the school. There are no scholarships and the village had no money. But Kennedy didn’t hesitate. So important did he consider his sister’s education, he sold the cart. It raised about £35, enough to pay for Marghareda’s first two terms. He had no idea how he would pay for the rest of her schooling, but even a few months’ decent teaching, he thought, would give her a chance to improve her life. Some in the village thought him wrong, even stupid, but a couple of weeks later Gumbi waved Marghareda off. For the longer answer as to why Kennedy sold his cart, we must go back another 12 months, to the middle of the worst year that anyone in Gumbi has experienced. A time when Kennedy, his wife and almost everyone in the village had run out of food and was close to death, surviving only by eating roots, the husks of maize, or seeds. I went to Malawi in April 2002 when the UN and international charities were warning that a famine was about to engulf much of southern Africa. I was sceptical about Malawi being in difficulty. It is known to be one of the most fertile countries on earth. It has a stable government, a free press, it is not at war, nor is it overrun with refugees. 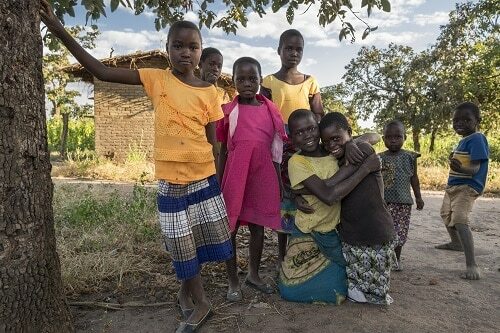 It is poor, and ravaged by Aids, but Malawi has always been able to feed itself. Traditionally, it keeps large amounts of emergency food in store. Indeed, the last time there were serious food shortages in this landlocked country was in 1949. It may be one of the poorest countries in the world, but the IMF, the World Bank and donor countries such as Britain fund half the country’s annual budget of $500m. Malawi toes the economic line. Famine is not a present danger. That was the received wisdom, but briefings by government, churches, charities and others made it clear that something had gone terribly wrong. The prime cause, it was thought, was a vicious, unseasonal drought in 2001 just at the time of maize planting. This had been followed by adverse rains later in the year. The result had been that the main maize harvest in April 2002 had been devastated. The poor of Malawi – 90% of the population are subsistence farmers – depend totally on maize. In fact, they grow it to the exclusion of almost everything else. In normal conditions it grows well, especially with fertiliser, which has been raised by Malawian farmers to the level of a god. But famine is seldom the result of only one disaster. And, sure enough, the hand of man was also involved. The Malawian government had not responded to early warnings. Meanwhile, the IMF had pressed the government to sell off its entire 200,000 tonnes of national grain reserves to save a few million pounds worth of storage costs, and forced further budget cuts. The price of food had rocketed, a lot had been bought up by a small number of businessmen who were stock-piling it. The combination of events was devastating. To people in the western world, Malawi 2002 did not look remotely like Ethiopia in 1984 or Sudan in 1990. There were no large migrations of people and no field hospitals full of twig-thin babes for the TV cameras to linger over. Yet the local Malawian charities and churches with their ears to the ground were pretty sure that up to 10,000 of the poorest people had died already. This was a hidden famine, affecting only the poorest of the poor. There was still food in shops and markets in towns; the hunger was happening out of sight, in the remoter villages. I travelled to Mtenga Wa Tenga hospital, just 30 miles from Lilongwe, a lovely, airy place, which specialised in treating the country’s ever growing number of Aids sufferers. But since Concern, an Irish-based aid agency, had arrived bringing supplies of food, it was being overrun by hungry people. The day before, 300 had been waiting for food. Today, there were more than 400 in a long, snaking line, the majority of them women with children. Some said they had walked five hours to be there. I set off walking to see for myself. In the first village, the grain stores were empty. The men had been cutting down trees to sell as firewood and the women were collecting grasses to sell for thatching. In the second, there was no immediate evidence of malnutrition and the children were playing happily. It was confusing. Concern had set up a therapeutic feeding centre in the church buildings. It was run by Spanish volunteers and Malawian nurses, and was full to overflowing. Fifteen tiny rooms were home to 15 women and 22 infants clinging to life. All were assumed to have malaria and scabies. That morning, two children had died; more people had come seeking help, but they had to be turned away. There were others from Gumbi. Why? I asked to go there and Sister Modesta offered to take me, a Spanish volunteer and Patrick, the local health assistant. It was about five miles away. There were no signs to the village; it was not even on local maps. We took a path for a mile through fields which should have been ready for harvesting but were full only of withered crops, turned left several tracks later, and then right by a large tree. It was a desolate scene. The village of roughly 80 houses was almost deserted. A few men sat under a tree. The children, in rags, were listless. A bedraggled, tired looking man in filthy clothes came out. “Welcome to Gumbi,” said the chief, who introduced himself as Mr Jamu. In the past few months, said Mr Jamu, there had been 17 deaths from hunger in the village and seven families had left. He reeled off the names of the dead: “Jam Bwanalim and Abak Bwanali, Staliko Bwanali, Joseph Jamison, Benjamin Chikomola.” Four were children, the remainder mainly men. “No. They are all because of malnutrition,” he insisted. Nearby, Justin, his mother and his family of three were preparing what they said was their last meal with their own food. It was half a small saucepan of maize and a few chopped leaves. Justin was in his early 20s and looked desperate. “I have not eaten for six days,” he said. “This is the very last food in our field. We will share it and hope for better times.” He had left the village in January to look for work in Lilongwe and tried but failed to get work on one of Malawi’s large tobacco plantations. The world price of tobacco had plummeted and no one was being taken on. “I came back and found my mother eating roots and berries,” he said, ashamed and sad. The village was perhaps the saddest I had ever been to. It had no life, no energy, no hope. “It is unimaginable for a young European like me what is happening here,” said Nacho, the Spanish volunteer who had come to Malawi fresh out of university three months previously to install solar panels at the Nambuma church, but found himself in a full-scale crisis and stayed on to help. Three months later I returned to Gumbi on the way to the Earth summit in Johannesburg. I had talked to the Malawian ambassador in London about Gumbi, hoping he might get it put on a list for food aid. By then, the emergency in Malawi, Zimbabwe and elsewhere had been recognised, the plans for distributing food were in place. The US had pledged $150m and Britain a further £20m. Maize, said the UN in Lilongwe, was beginning to get to Malawi in “reasonable” quantities. At least Christine, whom I’d met in hospital, was happy. Her baby had survived and Kennedy, her husband, was looking for work. “We will survive,” she said. Three months later, just before the annual maize planting season in November, I returned to Malawi again, this time planning to stay several days in Gumbi. We headed straight to the supermarket in Lilongwe and bought four 50kg sacks of ground maize, two 10kg bags of of rice, a sack of carrots, potatoes, salt, sugar, and bottles of beer. Hardly enough for everyone, but a contribution. No one thought it a good idea. Charity workers advised us firmly against taking food or money to the village, saying it could lead to divisions, and not get to the poorest. And Sister Modesta tut-tutted at my plan to stay in Gumbi. The Malawi countryside looked, as ever, neat and tidy. There was still nothing to suggest a crisis. Most of the fields had been ploughed, a good sign, because it suggested that people not only had strength, but also seeds to plant. The optimism was confirmed when we reached Nambuma, the last stop before Gumbi. The place was humming. 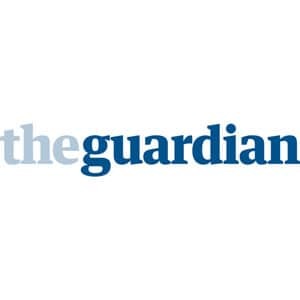 This article was originally published by the Guardian on 25/10/2003. 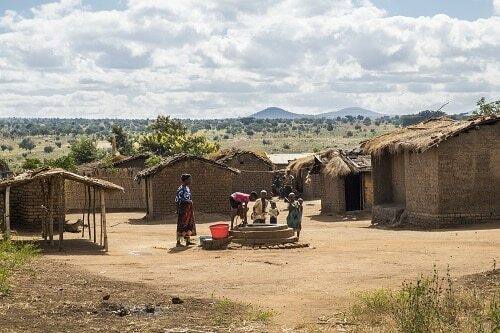 Four times in the space of a year, John Vidal visited Gumbi, perhaps the poorest village in one of the poorest countries in the world, Malawi. At first it was beset by famine, but as months went by, help arrived, the rains came, the village rallied - and learned a whole new way of taking on the future.